Whether your business is in the startup or scale-up phase, raising capital is a challenge you will encounter throughout the life cycle of your business venture. It’s rare for a startup to have all the capital they need to get off the ground. But a steady stream of cash flow is crucial to making your business grow and thrive. While there are many factors that can deter a startup from reaching its full potential, a lack of capital is one of the top reasons they are forced to close its doors. With 30 years of experience assisting small businesses secure funding, Larry Strain said there are different ways to fund a startup, but not all options are created equal. Your rich relative may loan you the money you need, but the incessant questions may keep you from getting any work done. On the other hand, successful entrepreneurs can be a great source because they have learned from their mistakes and can use their experience to help you navigate the minefield. No matter what funding source you choose, you need to do your homework before filling out a loan application. It’s important for you to have a well-thought-out strategic business plan that convinces lenders and investors to commit to your company and its vision, Strain said. There are many financing options, but Strain said it’s important to learn the ins and outs of each before proceeding. 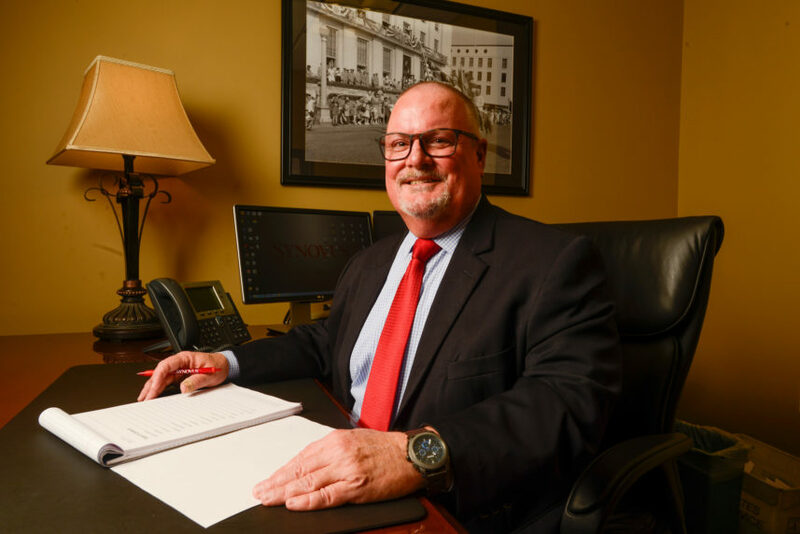 He suggested contacting business experts at the Florida SBDC at the University of West Florida, who offer no-cost consulting and low-cost training to help you locate, prepare and obtain financing. Tap your inner circle – Your friends and family are one of the most common forms of startup funding. But beware: just because they are an acquaintance doesn’t mean you should approach the business relationship informally. Make sure to be upfront about the risks, explain the business plan and put the rules of the business relationship in writing. Tried-and-true lenders – Banks and credit unions are traditional sources for small business loans, and they’re a good place to start if you have a solid business plan and good personal credit history. These lenders typically require a higher down payment and want a company to be fully collateralized (as an additional source of loan repayment), but can provide lower interest rates. Pitch your way to success – Business plan competitions, such as the Innovation Awards, can take your business idea from inception to commercialization. Now in its second year, the Innovation Awards provide cash prizes that provide an influx of seed capital. You will also have the opportunity to connect with potential investors and networking with peers at the event on April 12 and 13 at the Pensacola Beach Hilton. Don’t delay; registration ends Feb. 28. To register, go to innovationcoast.com. Seek financial gatekeepers – CPA firms and financial consultants have wealthy clients who occasionally invest in businesses. These clients usually request to remain anonymous, but firms can facilitate those connections. Perform due diligence and find out who the players are before cold-calling companies. Cash out your home equity –With home values increasing, a home equity line of credit, or HELOC, can help you raise the capital you need. A HELOC loan, which uses your house as collateral, acts more like a credit card because it has a revolving balance. Interest is due on the outstanding balance and that rate may vary over time. The holy grail of funding – Angel investors are still the lifeblood of early-stage startups. According to the Angel Capital Association, at least 300,000 people have made angel investments in the last two years, totaling $24 billion in the U.S. Some angel networks are available through online platforms, like SeedInvest, AngelList and Gust. Get cash from the crowd – Crowdfunding platforms have changed the landscape for innovators and technology entrepreneurs. For example, Oculus Rift, a virtual-reality gaming headset, raised $2.4 million through crowdfunding and was later acquired by Facebook. While these results are not typical, crowdfunding websites such as Indiegogo, Rockethub and Kickstarter are a good place to start your search. Start out small – If you need capital to buy equipment, supplies or furniture, a microloan might be your best bet. Established by the U.S. Business Administration in 1992, the Microloan Program provides loans up to $50,000 to help small businesses startup and expand. These loans are a good source of funds for businesses that have never borrowed from a bank. The downside is they have higher interest rates than standard small business loans. For a list of the nearest Microloan Program intermediary lenders, go to sba.gov/microloans.